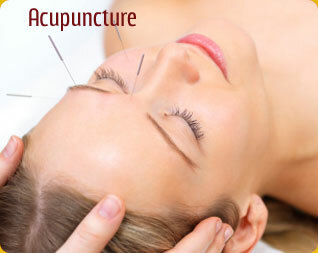 Dr. Tiegen extensive training in acupuncture as well as Herbal Medicine. Injection Therapy: The use of various natural substances including vitamins, herbs and homeopathic medications that are injected into specific points of the body to reduce pain, promote healing and restore normal function. Typically, injection therapy can help reduce chronic pain due to arthritis, injuries, fibromyalgia etc. Infrared Treatments: Infrared radiant heat application to promote healing, reduce pain and spasms. Electro Acupuncture: Combining electrical stimulation with acupuncture. This technique is typically used for pain reduction and pain management. 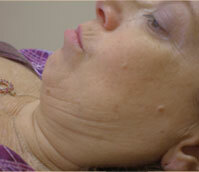 Mesotherapy for Natural Facial Rejuvenation: A technique whereby various homeopathic medicines and vitamins are injected directly into wrinkles to rejuvenate the skin and eliminate the wrinkle. 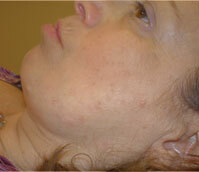 This is a completely herbal and natural method of facial rejuvenation. Homeopathic Medicine: The use of highly diluted natural substances to treat various ailments. The 'Law of Similars' is the main concept: 'Like cures Like.' Therefore, a very diluted preparation of poison ivy may be used to treat the rash. Homeopathic and Vitamin Injection: Using injection technique for administering homeopathic medicines and vitamins. Typically used for treating vitamin deficiencies, increasing vitality and regulating body functions. Nutritional Counseling: Using nutritional counseling and education for weight loss, post-op bariatric surgery, food allergies, treatment of disease, general wellness, pediatric nutrition, pre and post natal nutrition, renal and diabetes counseling. We are a Medicare provider for Renal and Diabetic nutritional counseling. Emotional and Spiritual Protocols for Mind-Body Integration: Techniques that recognize the mind, body and spirit are one and can work together for more profound levels of healing. Herbal Medicine: Use of naturally occurring herbs to treat illness. Properly administered, herbal medicine has a much lower incidence of side effects than pharmacologically based medicine. (Dr. Tiegen maintains an extensive herbal pharmacy). Saliva Testing, Hair Analysis: Saliva testing is an extremely accurate method for measuring a person's hormone levels. It can be administered at home and requires no blood draw. Hair analysis utilizes a sample of a person's hair to check for mineral content and toxins. The US government has used hair analysis to help diagnose Gulf War Syndrome. Electrodermal Screening: A screening device utilizing a computer that analyzes the acupuncture and energy systems of the body. Temporomandibular Joint dysfunction (TMJ) Treatment: Utilizes a specialized, comprehensive protocol. A proprietary method of treating jaw pain, jaw clicking and dysfunction. This includes three specialties: acupuncture, dentistry and chiropractic. A computer is utilized to study all related spinal and muscular structures. Treatment is planned based on this analysis as well as dental exam/treatment and acupuncture exam/treatment. Food and Chemical Sensitivity Testing: A simple blood test that checks for sensitivities and intolerances to foods, dyes, molds, chemicals and other substances. Frequently, eliminating the offending substance(s) can help restore health in many ways including greater energy, weight loss and improved digestion. Traditional Thai Massage: a combination of passive stretching and acupressure. Increases flexibility, relieves tension and balances the body's energy. Therapeutic Massage: Firm pressure and smooth movements revitalize and relax the sore and tired muscles. 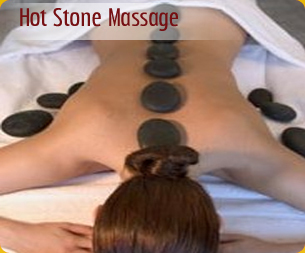 Hot Stone Massage: Healing energy from warm stones penetrates deep into the tissues and melts away stress. Prenatal Massage: Relieves back pain and sciatic problems associated with pregnancy. Relieves swelling in hands and feet, insomnia, calf cramps, morning sickness etc. Foot Reflexology: gentle pressure applied to specific areas of the feet stimulating all systems of the body. Swedish Massage: Swedish massage refers to a collection of techniques primarily to relax the muscles by applying pressure to them against deeper muscles and bones and rubbing in the same direction as the flow of blood returning to the heart. Swedish massage use five main strokes to stimulate the circulation of blood throughout the body; effleurage (stroking), friction, vibration, pettrissage (kneading) and tapotment (tapping). Swedish massage is used especially for relaxation, relief of muscular tension and improvement of circulation. Deep Tissue Massage is a type of massage therapy that focuses on the realigning of the deeper layers of muscle and connective tissue. Deep tissue massage works by physically breaking down adhesions in the deeper muscles to relieve pain and return natural movement to the area of concern. 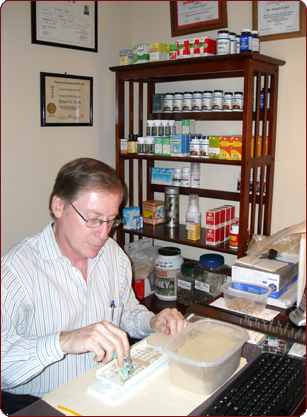 Dr. Tiegen has extensive training in acupuncture as well as Herbal Medicine. © Copyright 2010 Dr. Richard Tiegen's Acupuncture Practice. All Rights Reserved.